West Bengal will now very likely be called just ‘Bengal’ when it’s being referred to in English, and ‘Bangla’ or ‘Banga’ when it’s referred in Bengali. 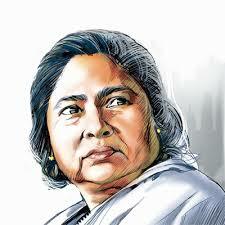 On Tuesday Mamata Banerjee led West Bengal government passed a proposal to change the name of West Bengal to Bengal. The proposal was approved at a Cabinet meeting held at the State Secretariat. The decision was taken to protect the “interest and tradition of the State”. After coming to power in 2011, Chief Minister Mamata Banerjee had toyed with the idea of name change but the issue could be taken up then. After the name change proposal is passed by the Assembly, it has to be approved by Parliament. The renaming proposal is already drawing comments on social media. “Pertinent to note that in colonial times, Lord Curzon divided Bengal into East Bengal and West Bengal, in 1905, and this met with such resistance, including a Tagore poem “Amar Shonar Bangla” ( My Golden Bengal ) which later on went on to become the national anthem of Bangladesh, that the British government had to rescind the division and make it one Bengal. Then of course 1947 happened and politically East Pakistan came into being, later turning into Bangladesh in 1971, while West Bengal continued as such. 2 Responses to "Bengal to shed its ‘West’"
What difference would it really make just by dropping the word ‘West’? The word ‘Bengal’ is still there which is good enough to reflect upon the culture and traditions. Just a flimsy excuse it is. This change of name is not rational and justified, according to me. Sure must the government be having matters of greater concern. Mamata B has a vested interest, eh? To Bee or not to Bee that is the Kweschun? Mamata wants to go DOWN on History as the Woman who rid Bengal of the West!